Spending on pharmaceuticals is on the rise worldwide. And it well should be. Today, we are able to cure some diseases like hepatitis C that were virtual death sentences just a few years ago. This progress required significant investments by governments and private companies alike. Unquestionably, the world is better off for it. Unfortunately, as President Trump pointed out in the State of the Union address, the United States has borne a significant amount of the negative effects associated with this development. For one, its regulatory apparatus has focused largely on drug safety, yet regulators have failed to emphasize cost-effectiveness when it comes to both new and existing drugs. At the same time, the United States also pays significantly higher prices than the rest of the developed world when it comes to prescription drugs, due primarily to limited competition among drug companies. These two problems are well-known to policymakers, consumers and scholars alike. The Trump administration’s recent proposal seeks to lower costs by restructuring drug discounts that occur between pharmaceutical companies, health insurers and entities called pharmacy benefit managers. But in my view as a health policy scholar, the plan does little to address the underlying problems of prescription drugs in the U.S. I believe the U.S. can refocus its regulatory approach to pharmaceuticals, adapted from the one used in Europe, to better connect the value prescription drugs provide and their price. Until the mid-1990s, the U.S. was really not an outlier when it came to drug spending. Countries like Germany and France exceeded the U.S. in per capita drug spending. However, since then, spending growth in the U.S. has dramatically outpaced other advanced nations. While per capita spending in the U.S. today exceeds US$1,000 a year, the Germans and French pay about half that. And it is not like Americans are overly reliant on prescriptions drugs as compared to their European counterparts. 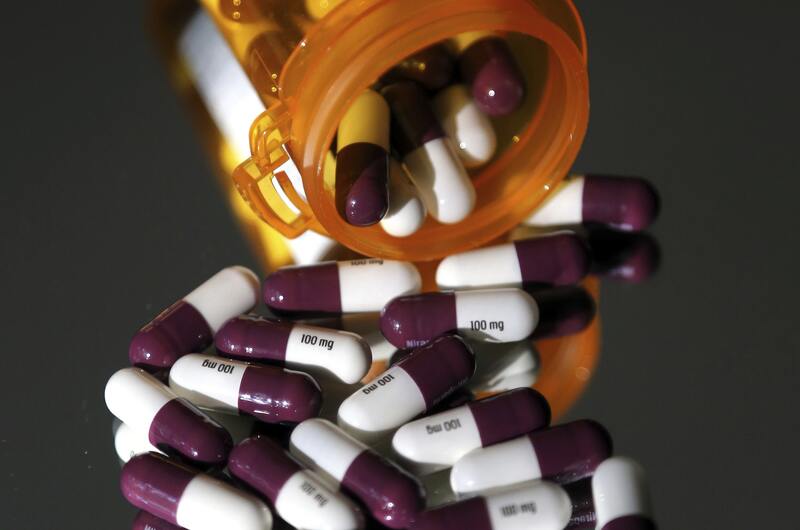 Americans use fewer prescription drugs, and when they use them, they are more likely to use cheaper generic versions. Instead the discrepancy can be traced back to the issue plaguing the entirety of the U.S. health care system: prices. The reasons for the divergence starting in the 1990s are relatively straightforward. For one, dozens of so-called blockbuster drugs like Lipitor and Advair entered the market. The number of drugs grossing more than $1 billion in sales increased from six in 1997 to 52 in 2006. The recent introduction of extremely pricey drugs treating hepatitis C are only the latest of these. Lacking even rudimentary price controls, U.S. consumers bore the full brunt of the expensive development work that goes into new drugs. These costs were further augmented by marketing expenditures and profit seeking by all entities within the pharmaceutical supply chain. Consumers in Europe, where there are government-controlled checks on prices, were not as exposed to those high costs. The Food and Drug Administration has also consistently moved to relax direct-to-consumer advertising regulations, a practice that is either banned or severely limited in most other advanced nations. While there are limited information benefits to consumers, this practice has certainly increased consumption of high-priced drugs. Additionally, the overall complexity of the U.S. health care system and the lack of transparency in the drug supply chain system create conditions favorable to limited competition and price maximization. All entities in the pharmaceutical supply chain, including manufacturers and wholesale distributors, have become extremely skilled at finding regulatory loopholes that allow them to maximize profits. This includes, for example, creatively expanding the life of patents, or having them recategorized as “orphan drugs” for rare disease to preserve monopolies. So-called pharmacy benefit managers, the middlemen that administer prescription drug programs, add further complexity and often may be driven by profit maximization. Finally, the U.S. has undergone a series of coverage expansions, including the prominent creation of the Children’s Health Insurance Program, Medicare Part D, and the Affordable Care Act. For many of the newly covered, this meant access to prescription drugs for the first time and pent-up demand was released. However, it also encouraged pharmaceutical companies to take advantage of the newfound payers for their drugs. The consequences of pricey pharmaceuticals are significant in terms of costs and diminished health. Close to 20 percent of adults report skipping medications because they are concerned about costs. Nonetheless, the U.S. may be spending close to $500 billion annually. The plan proposed by the Trump administration basically replaces an opaque discount arrangement between drug makers, insurers and middlemen called pharmacy benefit managers with a discount program directly aimed at consumers. Particularly benefiting from the change would be those individuals requiring costly non-generic drugs. Unquestionably, their lives would improve due to increased access and lower costs. At the same time, costs would be shifted to healthier consumers who do not rely on expensive drugs, as well as those relying on generic versions. Both will be faced with higher overall insurance premiums while not seeing any reductions in the prescription drug bills. That’s because insurers would no longer be able to use drug discounts to hold down premiums. The Trump administration’s discounting approach, however, is not uncommon. The Veterans Health Administration’s has done so quite successfully, obtaining discounts in the range of 40 percent. Likewise, Medicaid programs are also using their purchasing power to obtain discounts. And calls for Medicare to negotiate discounts with pharmaceutical companies are common. The way I see it, there are three major issues inherent in negotiating discounts for drugs. For one, true negotiations would only take place if Medicare or any other entity was willing to walk away from certain drugs if no discounts could be obtained. In a country that heavily values choice, and where such activities would become a political football, this is highly unlikely. Moreover, it would only work for drugs where viable alternatives are available. After all, most Americans would likely be hesitant to exclude a drug, even at high costs, when no alternative cure exists. Yet even if some version of a discount program were to be implemented more widely, such a program does not change the underlying pricing or market dynamics. Crucially, relying on discounts does nothing to reduce list prices set by manufacturers. Pharmaceutical companies and all other entities in the supply chain remain free to set prices, bring products to the market, and take advantage of loopholes to maximize corporate profits. Ultimately, pharmaceutical companies and all other entities involved in the pharmaceutical supply chain are unlikely to be willing to simply give up profits. Quite likely, steeper discounts for Medicaid and Medicare may lead to higher costs for employer-sponsored plans. The question then emerges: What could be done to truly improve the twin issues of high costs and limited cost-effectiveness when comes to pharmaceuticals in the U.S. health care system? While Americans are often hesitant to learn from other countries, looking to Europe when it comes to pharmaceuticals holds much promise. Countries like Britain and Germany have taken extensive steps to introduce assessments of cost-effectiveness into their health care systems, refusing to pay higher prices for new drugs that do not improve effectiveness of treatment over existing options. Since reforming its system in the early 2010s, Germany has allowed manufacturers to freely set prices for a limited period when bringing new drugs to the market. It then uses the data available from that period for a nongovernmental and nonprofit research body to evaluate the benefit provided by the new drug, as compared to existing alternatives. This added benefit, or lack thereof, then serves as the foundation for price negotiations between drug manufacturers and health plans. While the legal restrictions and the fragmented nature of the U.S. health care system severely limit the ability of the U.S. to fully translate such a model, in my opinion, the underlying approach bears great value. Lacking the corporatist nature of the Germany economy, the U.S. should resort to a bottom-up approach focused on investing in assessing and subsequent publicizing of cost-effectiveness data as well as cost-benefit analyses for all drugs. In order to minimize politicization, these analyses would be best handled by one or multiple independent research institutes. Ultimately, knowing what drugs provide what value would equally benefit consumers, providers, and payers, and serve as a meaningful first step towards connecting the prices we pay for prescriptions to the value we derive from them.